The best food starts with the best ingredients. 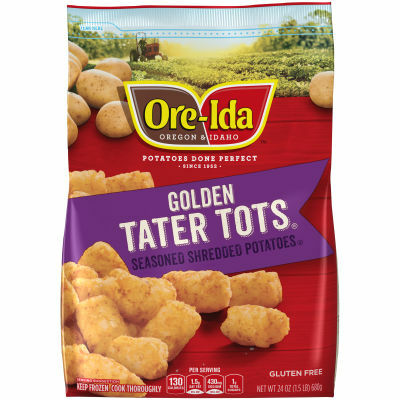 ; Since our beginnings over 50 years ago, Ore-Ida has been located in the heart of America(')s finest potato growing region--the Pacific Northwest. In fact, the name Ore-Ida is a combination of (l")Oregon(r") and (l")Idaho. (r") That(')s how proud we are of our great potato heritage. Surrounded by the nation(')s best potato farms, Ore-Ida partners with farmers who meet our high standards to bring you the best potato side dishes in America. We hope your family enjoys eating them as much as we enjoy making them. Serving size 3oz (84g/about 7 pieces).